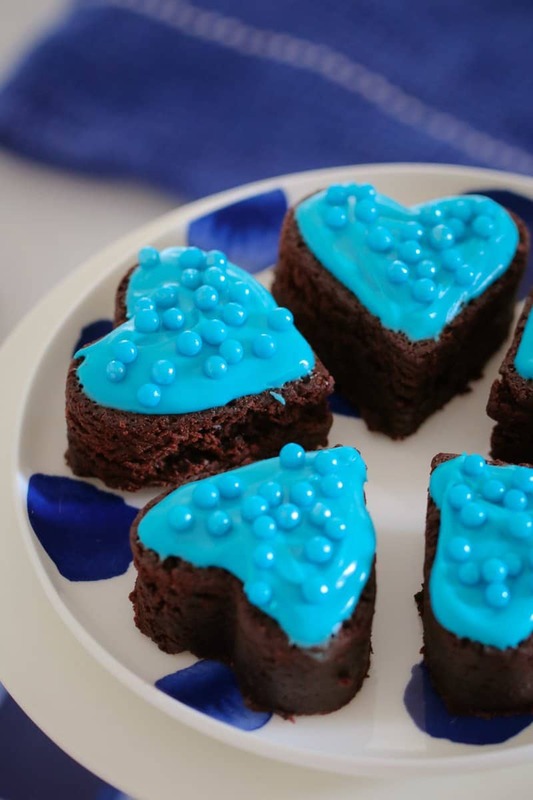 Our Thermomix Love Heart Brownies are dense, moist and super cute!! 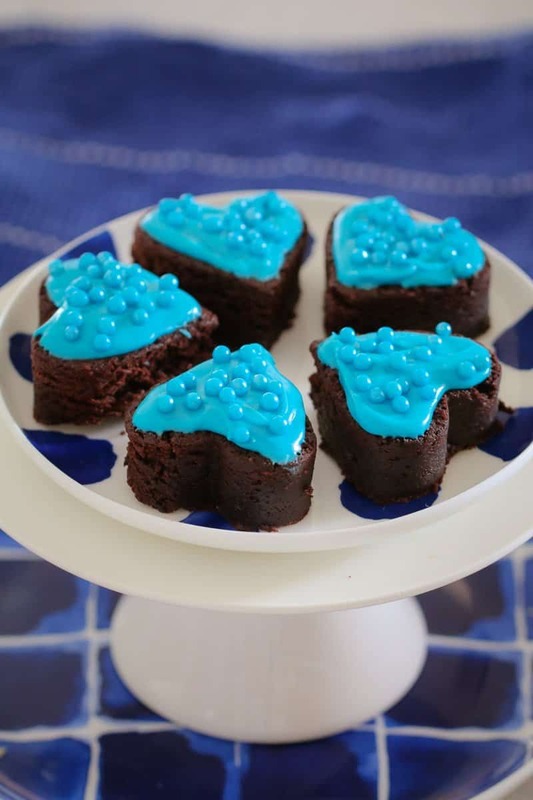 They’re the perfect party food recipe! 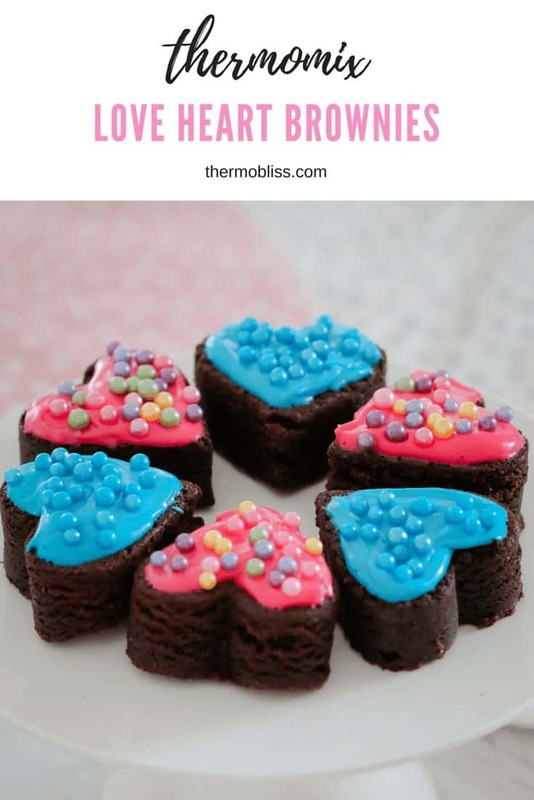 When it comes to party food recipes, these Thermomix Love Heart Brownies need to be at the top of your list. 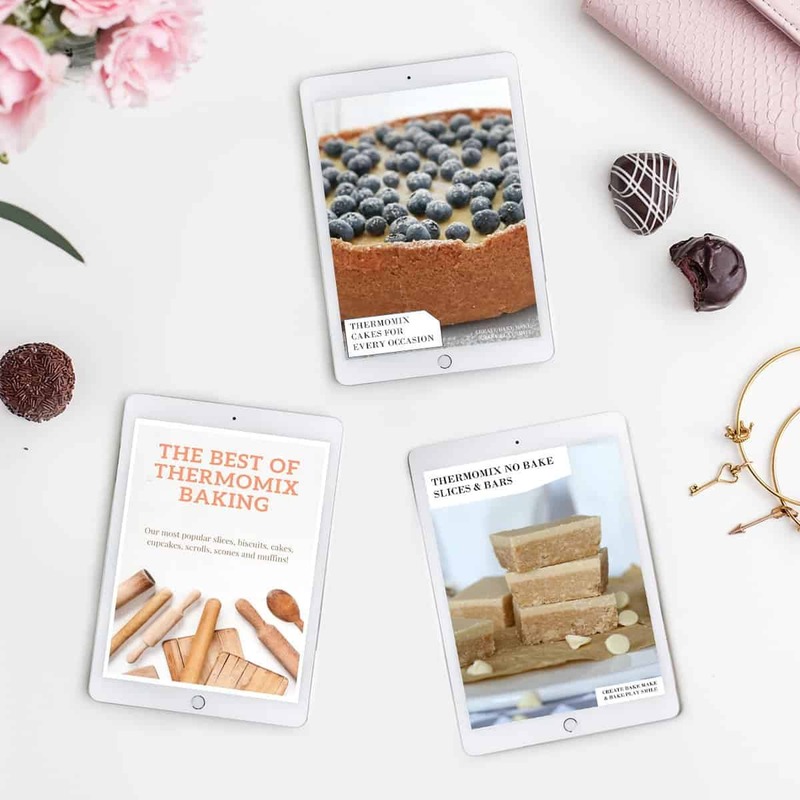 They take only a few minutes to prepare and are SO easy… but they look gorgeous! 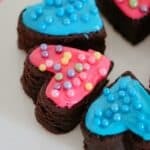 These love heart brownies are based on my favourite brownie recipe… they’re super dense and moist and oh-so-chocolatey! Plus, they turn out perfectly every single time! 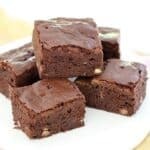 To keep your brownies lovely and moist, make sure you don’t overcook them. Take them out when they’re just set in the middle and allow them to cool completely before cutting into love heart shapes. 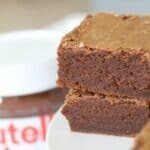 I used a basic frosting on my brownies, but you could use absolutely anything you like (sifted icing sugar is another great option). 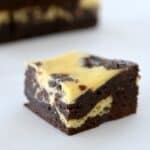 Or of course, you could leave them plain and serve with a big scoop of ice-cream or drizzle of salted caramel sauce. YUM!! 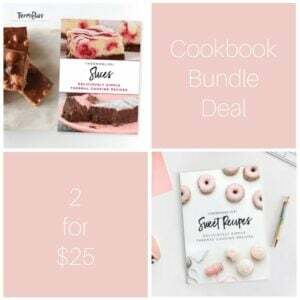 For more great baking recipes, check out our ‘Thermomix Baking Bundle’ of eBooks… 3 for $25! 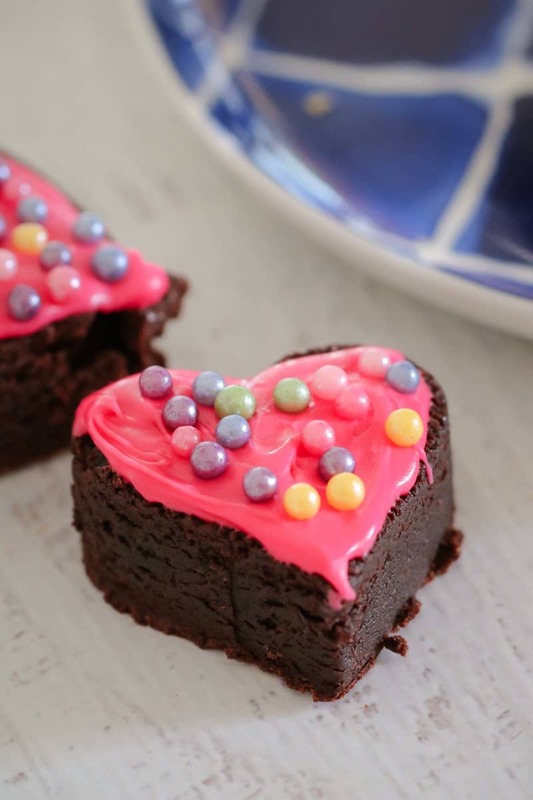 Our Thermomix Love Heart Brownies are dense, moist and super cute!! 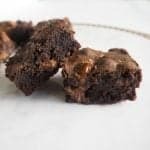 They're the perfect party food recipe! 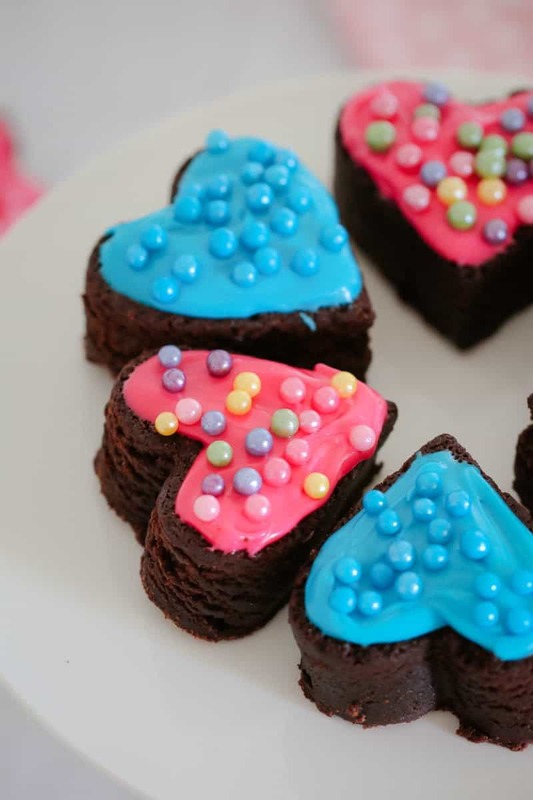 Use a small love heart cookie cutter to cut approximately 14 hearts out of the brownie mixture. 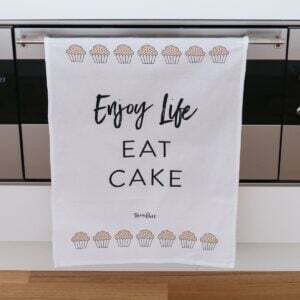 Sprinkle with icing sugar or top with frosting. Store in an airtight container for up to 1 days (or freeze for up to 1 month).